BEIJING – ConocoPhillips China (COPC) today announced a cooperative venture with Enactus China to jointly launch the FUTURE Energy Innovation Research Project (FUTURE) to inspire Chinese postgraduate students to pursue research studies in oil and gas technology innovation and sustainable development. The project encourages study of the technical disciplines that will be essential as China strives to meet the growing energy needs of its expanding economy and achieve the United Nations (UN) Sustainable Development Goals. As part of the 2018 FUTURE project, more than 70 research teams from 10 targeted colleges and universities nationwide will be invited to participate. They will conduct research on China’s substantial unconventional oil and gas production potential. The overall aim – with support from COPC – is to identify innovative solutions for tackling the associated technological challenges, while also meeting stringent environmental standards. ConocoPhillips Eagle Ford Drilling Rig in Texas, the U.S. The teams will submit research proposals for evaluation by academic advisors from partner schools along with industry experts. The proposals will receive scores based on research originality, technical content, applicability and environmental sustainability. The eight teams whose proposals have the highest scores will participate in the FUTURE China National Competition held in Beijing on Aug. 10, 2018. 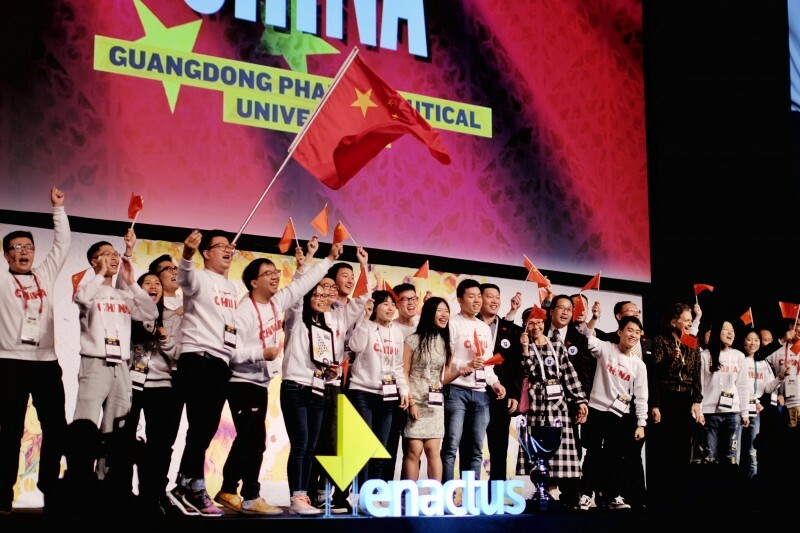 The final winning team will be invited by Enactus to participate in its UN Sustainable Development Goals Forum, and will present its ideas on how China can meet its energy goals. The Forum will take place during the Enactus World Cup Event in San Jose, California, in October. Throughout the oil and gas industry’s history, oil and gas exploration and development primarily focused on conventional resources, which had been easier to recover. With those resources gradually depleting, unconventional resource development (including from shale rock) has emerged as a solution to meet growing world demand and secure future energy supply. The UN Sustainable Development Goals clarify the objectives and timeline for speeding development of future global energy supplies while reducing carbon intensity. Given China’s growing economy and rising energy consumption, its government’s “Thirteenth Five-Year Plan” establishes a goal of strengthening development of unconventional and offshore oil and gas resources as part of a clean, low-carbon, safe and efficient modern energy system. China is making progress in unconventional resource development, and to help meet the associated technology and environmental needs is seeking to cultivate the innovation and skills of its people. ConocoPhillips is the world’s largest independent E&P company based on production and proved reserves. Headquartered in Houston, Texas, ConocoPhillips had operations and activities in 17 countries, $73 billion of total assets, and approximately 11,400 employees as of Dec. 31, 2017. Production excluding Libya averaged 1,356 MBOED in 2017, and proved reserves were 5.0 billion BOE as of Dec. 31, 2017. For more information, go to www.conocophillips.com.